Go for the double-play with a dual-freezer setup, maximizing your slush flavor options with an eye-catching yet hard-working configuration. The Double-Bowl Frusheez #1114 features 3.7 gallon bowls and a fan-cooled compressor for a longer life. The standby switch allows product to be kept refrigerated overnight. 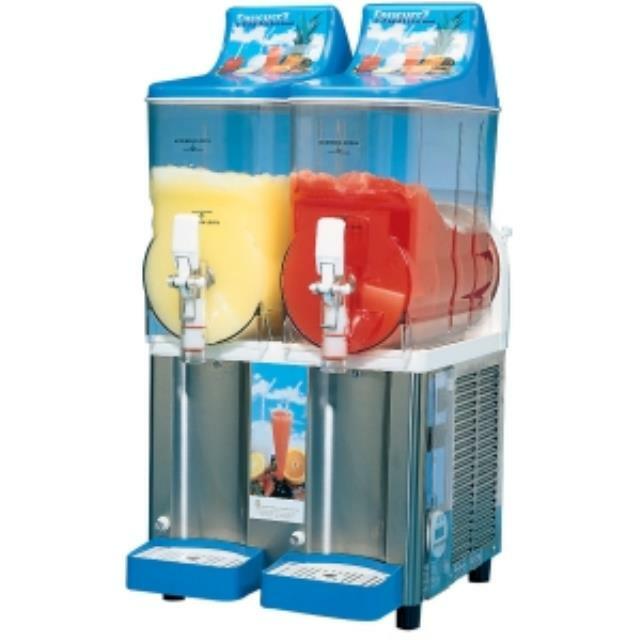 Try the Frusheez frozen drink machine at bars, theatres, and restaurants.